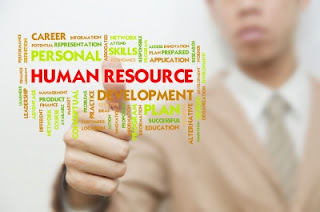 Human resources play a great role in the success of any business. The employees of a company are responsible for running the various activities in the organization. A company therefore needs skilled employees who are ready to work and to ensure the success of a company. A small business faces quite a number of challenges related to human resources. As the name suggests a small business is a firm that is small in every aspect. A lot of times you will find that the HR department only has one employee who may not have a Masters in HR since the company may not be able to afford to pay someone with an advanced degree. This person will usually be in charge of all issues pertaining to Human resources. If such a person is not in the office, then some things come to a standstill. For instance, the payroll may not be completed on time since they are likely to be the ones in charge of preparing the payroll. The firm may also not be willing to employ several people to work in this department since the assumption is that the department does not have much work considering the firm only has a few employees. Every organization has specific structures and procedures that employees have to follow and lack of adherence to these rules may lead to a person losing their job. Structures are important since they enable workers to understand what their employer expects from them. Issues related to organizational conflicts are best handled through an established HR department. A small business may not have all these procedures due to only a few employees in the firm. In most cases, if you have a complaint you can have any senior person address those complaints. This can however bring many work conflicts as some people may have different opinions about the same issue. The fact that there is no standardized procedure of handling work conflicts brings further conflicts that may affect the overall organizational performance. In order for an organization to attract talent and qualified personnel, they need to offer a good compensation package. If you have a Masters in HR, you would want to work for a company that pays well and recognizes the efforts you have made in pursuing such a degree. Most small businesses lack the finances to be able to pay all their employees high salaries. This may lead to a small business not attracting highly skilled employees. In addition, the company may find it very hard to retain employees since immediately one gets a better offer from another company; they are likely to leave the small business without thinking twice. Each firm requires the commitment of employees to ensure its success. The work environment in most small businesses is quite informal. This may create a notion that someone does not have to put as much effort as those in established businesses. Many employees do not have a definite work description and may even feel overwhelmed by the amount of workload that they have to complete. Other employees just dislike the idea that they may have to work on assignments for lowly performing employees especially without any form of recognition or direct salary benefit. The employees may also feel like working in the small business is only a part time thing hence they do not have to commit themselves fully. The Human resources challenges that a small business may face are likely to be temporary. This is because the business will not stay small forever but rather it will grow thus solving those problems with time. The business will thus be able to pay people who even have a Masters in HR. This post was written by Denielle . A writer who writes on variety of topcs and always willing to take on extra tasks and does so with a smile. She enjoys spending time with her family as much as possible and loves hosting BBQ's for everyone to get together.